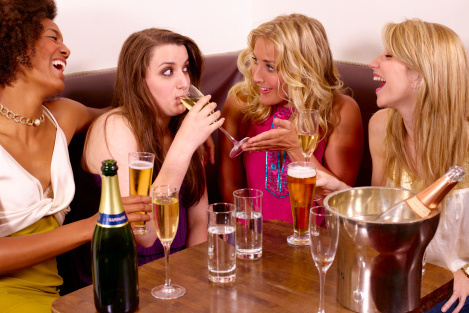 It is needless to say how influential peer pressure can be on an individual. Peer pressure comes in when we get influenced by the lifestyles and the ways of thinking of our peers. Almost everyone, from different walks of life, must have experienced peer pressure in some way or the other at a given point in time. Some people get positive influence from it whereas others tend to get negatively influenced. An analytical approach towards peer behaviour can be positively impactful for you. On the other hand, blindly following peers and not holding an opinion of your own might leave a negative impact on your life. Let us distinguish the positive and negative sides of peer pressure in detail. Usually, peer pressure is used in a negative context. But there is always another side of the coin. Yes, there is also a positive peer pressure. Peer pressure cannot be termed bad always. It can also lead you to adopt good habits in life. Your peers may teach you some good things about life and encourage you to follow them. For instance, if you see your peers doing something for a noble cause, you may also like to adopt their certain habit. This will help you to change yourself for the better. Adopting good habits of your peers can actually bring about a positive change not only in your life but also your way of thinking. Peer pressure can actually leave a positive impact on your life if you carefully pick certain good habits from your peers. Since there is a huge diversity in human behaviour, exposure to peer pressure will give you a good opportunity to analyse the likes and viewpoint of different people. This will result in getting a chance to choose the best from what the masses have to offer. Peers might even inspire you in some way or the other or even persuade you to bring about a constructive change in your life. Therefore, peer pressure can also have a positive impact on your life and can actually lead you to make the right choices for yourself. Most of you are well aware how negative peer pressure can influence one’s life but we would still like to throw some more light on this aspect. There might be a particular idea, a habit, or a lifestyle which you personally dislike and would not like to accept. However, your peer group would want to compel you to do something which is against your own will. As a result, when you take a wrong decision by succumbing to peer pressure, you may land yourself in deep sorrow and feel remorseful about the whole situation. Similarly, a large number of vices such as smoking, drinking, becoming drug addict etc., are cultivated when teenagers blindly follow their peers, putting aside their own will. Furthermore, you lose your identity by surrendering to peer pressure. You lose your lifestyle and entirely adopt your peers’ way of living. You no longer follow your own taste and are forced to like what your peers like and do what they do. This is how peer pressure can yield a wide array of negative outcomes for your life. Therefore, it is better to learn something from peer pressure by adopting good habits and avoid succumbing to its negative side.